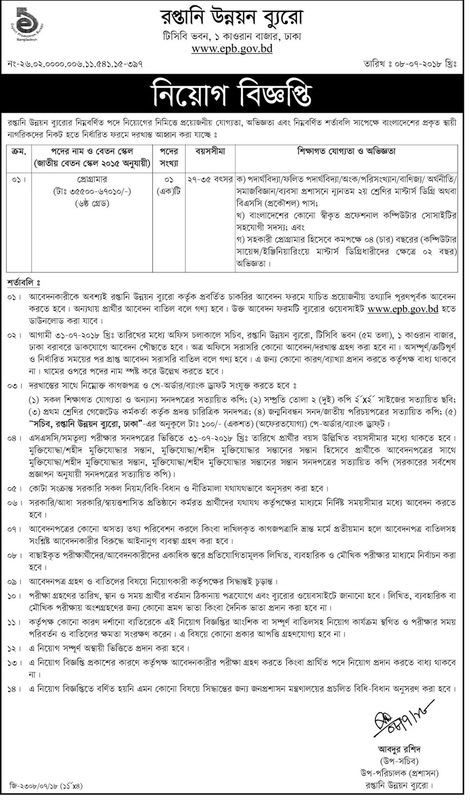 Bangladesh Export Promotion Bureau Job Circular 2018 has been published by the authority. It’s an attractive job circular. At this moment, government job is too much important to the unemployed people. Anyone can take this opportunity.